It's Just Mobolaji | Music & Entertainment: New Music: Iggy Azalea - Change Your Life ft. T.I. New Music: Iggy Azalea - Change Your Life ft. T.I. Hate her or love her, you've got to give it to Iggy Azalea - she's one of the most consistent female rappers out right now. 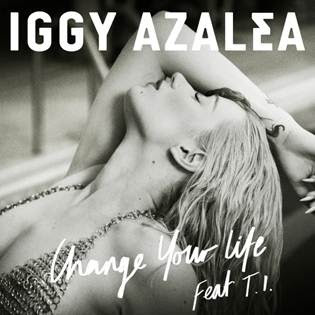 Iggy Azalea's distinctive tracks have become a regular addition to every club across the world over the past few months and ‘Change Your Life’ is about to join the list. ‘Change Your Life’ is the third single from the Australian bombshell off her forthcoming debut ‘The New Classic’, and follows her singles ‘Bounce’ and ‘Work’. Iggy will join Beyoncé on the Australian leg of her ‘The Mrs. Carter Show World Tour’ this October through to November. Labels: Iggy Azalea, New Music, T.I.